Eight people have now lost their life while cycling in Ireland so-far this year. This is up three deaths from last year. However, as we reported in January, 2013 was a joint low year for deaths of people cycling. If, however, you look at the deaths by month last year, it’s still not inconceivable that there would be no deaths between now and the end of the year. It would be only one less death than the same period last year, when the deaths were front-loaded into the first half of the year. These are after all not accidents. These are avoidable collisions. Better behaviour from all road users is part of the solution but it should not be sold as the only part. Let’s not forget following best international practice and improving road design. A key part of this is giving bicycle users segregated cycle routes on busy roads with heavy or fast-moving traffic — such as the route planned for Dublin’s quays which has still only been covered negatively by The Irish Times. The Road Safety Authority says it’s all fine, we just have to share the road. The RSA have a blindspot of their own and continue to claim that road conditions have little affect on deaths while also pointing out how safe motorways are. The international evidence shows that cycling-friendly design can and does protect people who cycle. Louise Butler was killed on a national primary route. One of the few remaining national roads within the M50 after most were detrunked. Why does this matter? The design of this road — like many others — is not some kind of cultural issue — it’s a design and engineering one linked to political choices. The national road status of the road in Blackrock likely helped the council think that when drawing up a redesign of the road, it was ok to retain elements “exposing pedestrians and cyclists to greater danger”. The voice of The Irish Times continues: “Arguably, there is no road user more vulnerable than a cyclist due to proximity to cars, buses and HGVs.” But this can only be argued if you somehow could say that motorcyclists outnumber those on bicycles, or that significant numbers of pedestrians are not killed when crossing the road. The editorial covers how HGV blind spot mirrors being a positive thing but that in “Louise Butler’s case, the HGV had some blind spots although it was fitted with all mandatory mirrors.” The Dutch still have the same issue — people on bicycles continue to be killed by trucks where junctions have not been upgraded. It’s not magic. 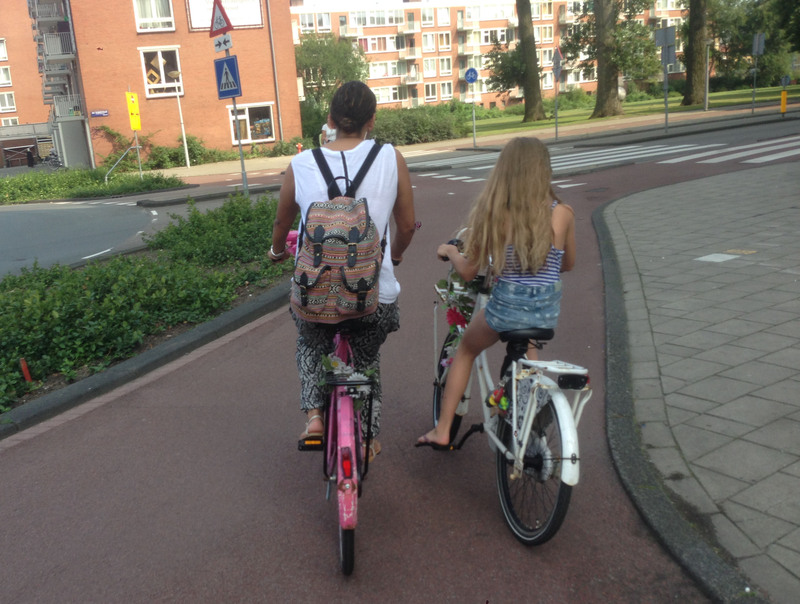 Cycling is not in the Dutch DNA. It’s design. 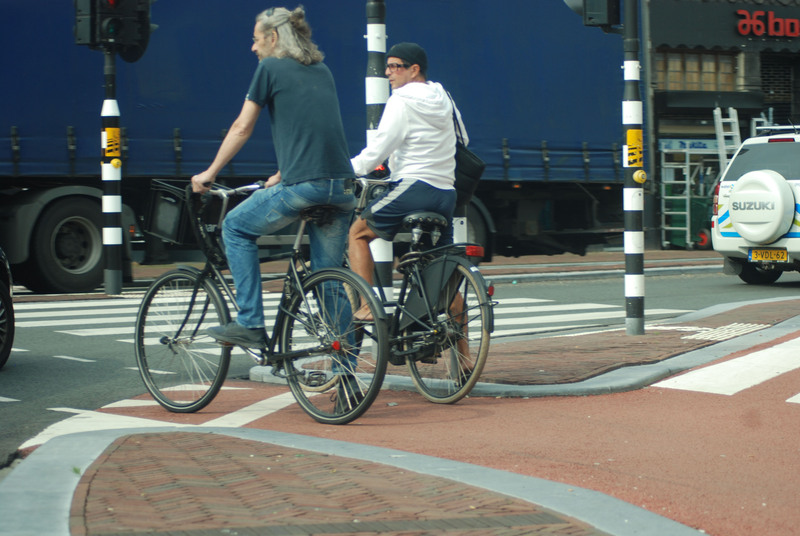 Putting cyclists ahead of traffic using Dutch-style segregation and giving users of these paths a separate traffic light phase or a headstart with advance bicycle traffic lights, works. The Irish Times cannot with a straight-face cover the planned Dublin quays project with such negativity and then, just weeks later, act concerned about protecting the type of road users the project would protect. But it’s worse than not being able to join up the dots. As we have covered in detail, The Irish Times has undermined the case for the quays route project by undermining and downplaying the roll cycling has in the city. The — wilful or not — distorted data used in the coverage by the Times mirrors tactics used against the project by high-end retail Brown Thomas. Incorrect data, no context, and misleading and incorrect context on cycling and the quays route remains unchanged on Irish Times articles online. The increase in cycling deaths clearly is bad news, but the solutions are not limited to behaviour changing. The RSA continually focuses on cyclists presumed responsibilty for their demise in these collisions. It is blaming the victim which is easy. 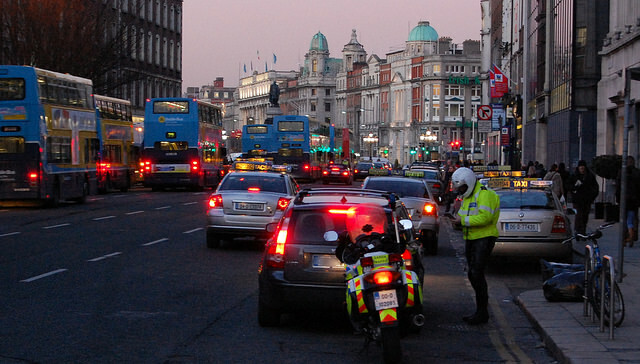 The fundamental question that the RSA and DoTTAS have to answer is why uniquely in Ireland do we permit semi-trailers to operate in congested areas in a totally unfettered way – with the exception of Dublin City where some attempt is made to control access to the city under permit. However I regularly detect HGVs that have no permit to be there and this shows that An Garda is not doing enough intercepts on the streets of Dublin to check for permits. The manufacturers of these vehicles well know that they are not designed for other than inter-urban shifting of goods on motorways/dual-ways and going to depots on the outskirts of major towns and cities where loads will be broken down for urban distribution using smaller goods vehicles. Ireland is unique in that it no longer transports goods by rail. All goods are transported internally by road.